An unpredictable summer storm in southwest Bangladesh last April caused many farmers, like Abdul Mannan, to make some tough decisions. The government of Bangladesh estimates about 1.2 million tons of rice was lost because farmers were forced to harvest their paddy crops sooner than expected, which created a labor shortage and an increase in labor wages. The farmers had to decide whether to harvest the remaining paddy or take the time to sell their already harvested crops before they were lost? The decision is a question of return on investment. Do they spend on harvesting the rice, which is usually their most profitable crop, or use that time to sell their vegetables? Abdul was one of the lucky farmers who had joined Feed the Future’s Developing Local Extension Capacity (DLEC) programs new initiative. In conjunction with the USAID Agriculture Extension Support Activity Project (AESA), DLEC launched Digital Greens Loop program in Bangladesh. Under the program, farming communities select a farmer leader/aggregator, who coordinates with peer farmers to arrange transportation based on the quantity of crops harvested. The aggregator uses a mobile application for record keeping and provides SMS receipts to his fellow farmers for transparency. In the past, it would take Abdul three days to sell his produce. He would rent a tricycle/rickshaw van to take his produce to the market at a cost of BDT 1.25 per kilogram. Now, the aggregator weighs, packs and hauls this produce to the market directly from the farm. Abdul saves fifty percent on transportation cost because the aggregator hires a larger motorized vehicle and the cost is shared among all the farmers. Once at the market, the aggregator negotiates for the collective to get better prices. Markets in Bangladesh are unregulated and have a long forward chain, making smallholder farmers vulnerable to market manipulation. Traders often charge 10 percent extra to cover transportation, loss, and wastage. With Loop, the aggregator has collective bargaining power–traders usually provide better prices and facilities when they can buy larger quantities. Because they are dealing in bulk, the traders charge less to cover loss and wastage. Abdul’s aggregator was able to negotiate three percent. Abdul sold 335 kilograms of pointed gourd through the Loop program. He saved BDT 200 on transportation cost and earned BDT 620 in profit. Since he did not have to go to the market himself, he saved three days, which he dedicated to harvesting the remaining paddy crop. 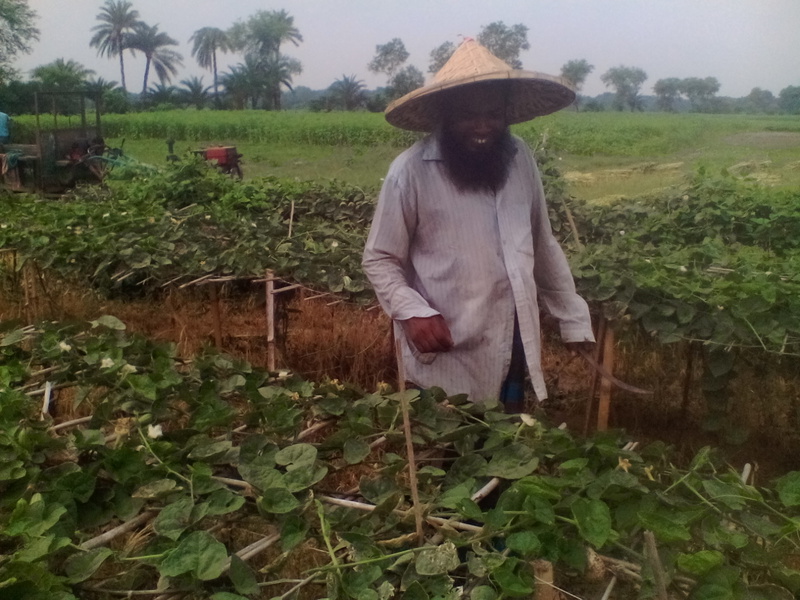 Already working with thousands of farmers in India, the Loop initiative has a goal of reaching 1000 farmers, like Abdul, in Bangladesh before the end of the project.